Have you ever wondered how a book is cataloged or who constructs the records that allow you to find a resource within the library? If so, then today is your lucky day. Special Collections’ Complex Cataloging Unit created a Film Noir short on the cataloging process. Directed, filmed, and edited by Dominique Bortmas, Complex Cataloging Specialist, and written by Cataloger Elizabeth Richey, the film provides a comical yet insightful view into the world of cataloging. A found letter, addressed to Proctor P. Jones, in the book. Today in Special Collections, we are exploring a new addition to the Napoleon Collection which led catalogers on an interesting research journey. Recently, a book titled The Historical and Unrevealed Memoirs of the Political and Private Life of Napoleon Buonaparte, printed in 1821, found its way into Special Collections’ Napoleon Collection. While the text itself contained riddles about the author’s identity and the source’s authenticity, it also contained a letter addressed to the book’s previous owner, Proctor P. Jones, who donated the book to FSU. 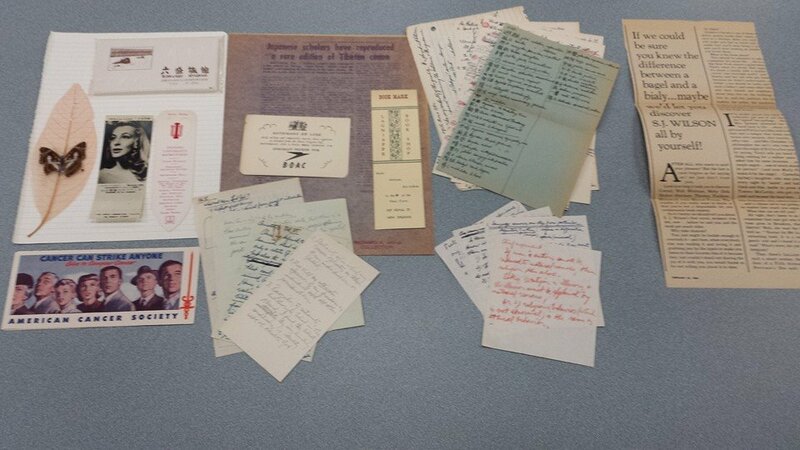 The text and letter led Cataloger Elizabeth Richey to consider the possibility of fabricated memoirs and how to catalog such things. At a quick look, The Historical and Unrevealed Memoirs of the Political and Private Life of Napoleon Buonaparte looks like a normal memoir. However, a closer look at the memoir from a cataloger’s perspective raises questions about its accuracy, which leads to the question of how do we catalog a possibly fabricated book? Elizabeth recognized some possible hints that made her question the memoir’s authority and accuracy. For example, the book’s publisher is listed as “Is only to be had of the author, No. 27, Cirencester Place, Portland, Place, April 1821”, while further research shows that the book was printed by Fargues of Berwick Street, Soho. Even more interesting is the attributed author of the text: Mademoiselle R. d’Ancemont. After much research and exploration, Elizabeth and other catalogers could not locate any information about this mysterious author; instead, she found evidence that this author may have used a pseudonym. This was supported by a letter found in the book. The writer of the letter argues that due to two references within the text, the memoir was written by “Dangeais”, not R. d’Ancemont. He continues to argue that this name may also have been a pseudonym, and that we may never know who the true author is. Without the author’s real name and background, we are left to wonder if the author is a reliable writer. As a result of questionable information in the book as well as doubts about the author and publisher, the writer of the letter believes the entire book may be “a fake.” In the letter, the writer states that he thinks the memoir is “completely fabricated”, as was the case for many memoirs written during this period. He and other researchers go as far as to believe that the entire text is not only a fake, but also a fake originally created in English, not a French to English translation as the title page suggests. Other catalogers and researchers seem to share this opinion about this mysterious text. Whether or not the book is a “fake”, it still belongs in Special Collections since it provides insight to this historic era and is a perfect example of a potentially fake memoir. This interesting find illustrates the amount of time and research a cataloger must devote to cataloging all resources. Without proper information and detailed records, it is difficult for library users to locate sources. Sometimes, the item itself does not present enough information for a proper record. 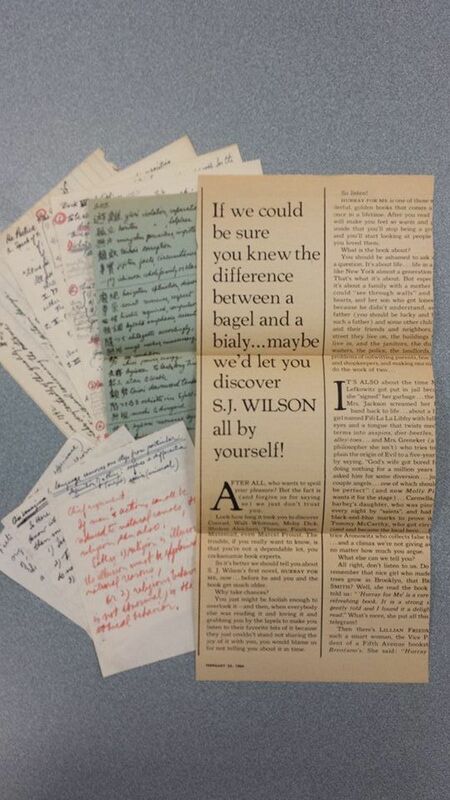 In some cases, particularly with older and donated books, catalogers are lucky enough to find outside sources of information within a book, such as the letter found within this book. In either case, Special Collections catalogers strive to make accurate records so that the collections rare and interesting items can be found and explored by FSU students and faculty. A few found items within ARC books. Cataloging Special Collections is like digging through a box of Cracker Jacks. You purchase a snack hoping that an additional prize is contained inside. After picking through your edible treat, you fingers grasp a hidden prize- maybe a decoding ring, a sticker, or some other trinket. Sometimes that prize has value, other times it is simply fun to find the prize, even if it has no value; and then there are times when the Cracker Jack assembly line forgot to put a prize in your box. A similar thing happens in cataloging. The university purchases old items and special collections, and many times, there are unexpected objects to be found in the collections. Sometimes, you find an academic’s notes, an old photograph used as a bookmark, or some newspaper clippings. Other times, you find less rewarding prizes, like spiders, dust, cobwebs, and more spiders. 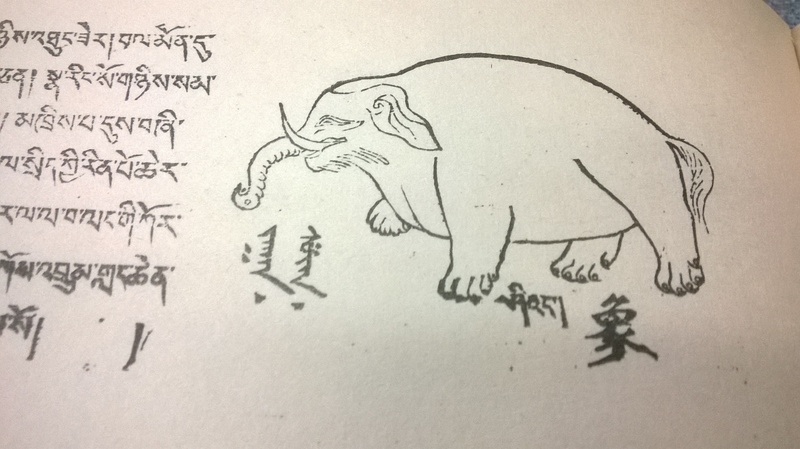 Recently, through the cataloging of the Asian Religions Collection (ARC), catalogers stumbled upon some of fun finds. While the Asian Religions Collection was purchased by FSU, it previously had many homes. One of these earlier owners was Galen Eugene Sargent. As a professor of philosophy and comparative literature at Indiana University, Sargent kept multiple notes and bookmarks in his ARC books. Many of these items managed to remain inside the books throughout the years. 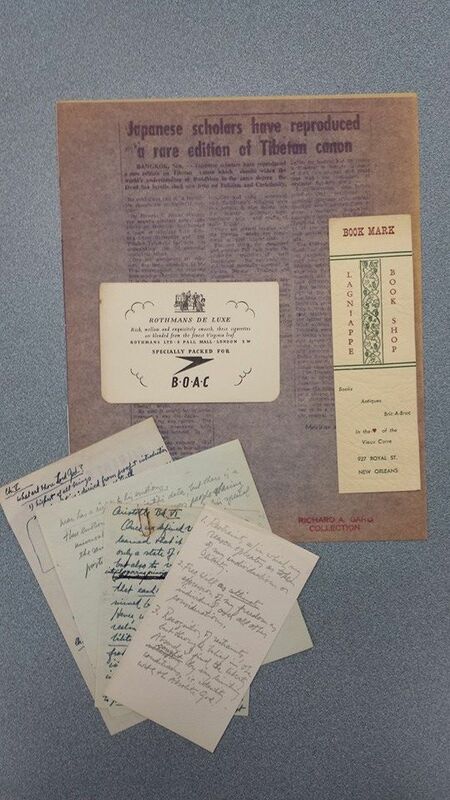 Cataloger Elizabeth Richey was lucky enough the stumble upon many of these hidden treasures. The most commonly found items within these books were annotations and handwritten notes. In fact, we found enough notes to fill a small box. These notes appear to be written by Sargent, and they provide us with a glimpse into his work and research interests. There was also a small collection of bookmarks. Actual bookmarks from the Indiana University bookstore and Lagniappe Book Shop in New Orleans were found, while other items used as bookmarks were found. A few favorite bookmark finds include cigarette cards, bookstore receipts, a sleeve of Rokusei Ryokan tissues, and a photograph of actress Marianne Hold. While these found items within the collection were used for more academic purposes, like annotating and marking passages of note, other finds were more aesthetically pleasing. 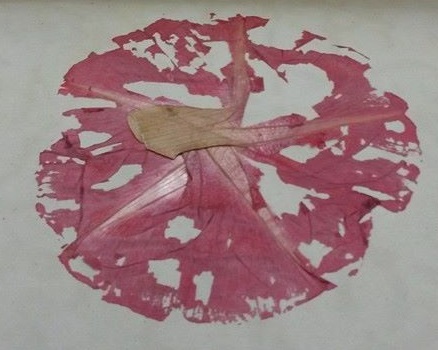 Hidden in the pages of some books were pressed flowers. Others included pressed butterflies. While we cannot pin an exact date to these pressed pieces of nature, we can guess that some date back to the 1960s. When cataloging older, previously owned materials, you never know what you will find. You’re sure to come across a lot of dust and spiders, but that just makes finding notes and photographs all the more rewarding. 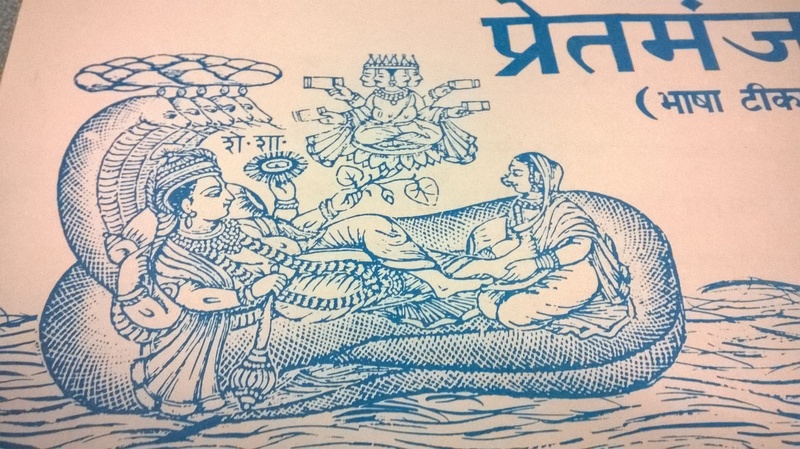 In the past few months, the Cataloging and Description department work tirelessly to liberate a large collection of foreign print materials from Remote Storage to their proper library homes. 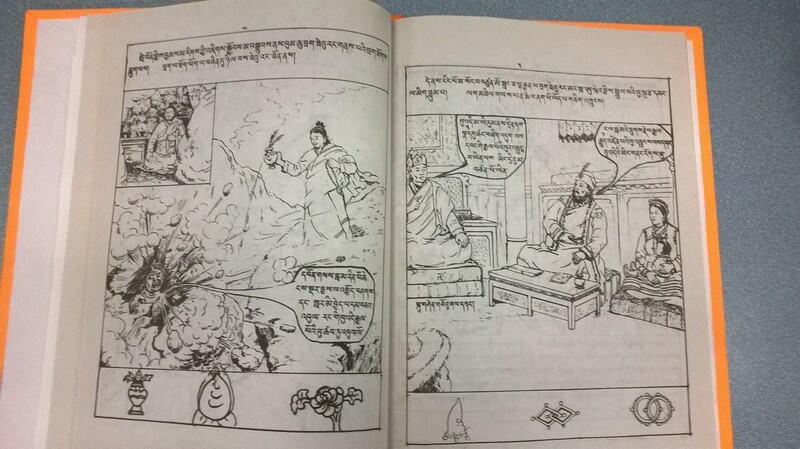 The collection, known as the Asian Religions Collection, includes books and other print materials written in Tibetan, Sanskrit, Hindi, Chinese, Japanese, and Korean. While this collection has been in FSU’s possession since 2008, it was fully cataloged and made available to university patrons as of December 23, 2014. In order to settle part of a national debt, India paid the United States in books and other print materials. These items were then acquired by the Institute for Advanced Studies of World Religions. Eventually, the books found a new home at the University of Virginia. UV evaluated the collection and kept a portion of the materials. The remaining 25,000 items were purchased at $2 a piece by FSU in 2008. Unloading the ARC books into RS2. After the collection was purchased by FSU, it was delivered to the Remote Storage 2 (RS2) facility. Together, led by Amy Weiss, Head of Cataloging and Description, and Roy Ziegler, Associate Dean for Collection Development, the staff unloaded two full semi-trucks of books. In order to fit the massive collection in RS2, the boxes of books were piled around the sides of RS2, waiting to be cataloged and shelved. Library of Congress catalog card. Of the 25,000 books, nearly 13,000 books were labeled as English language materials. After being reviewed, more than 6,000 of these books were cataloged and shelved in the Strozier library. 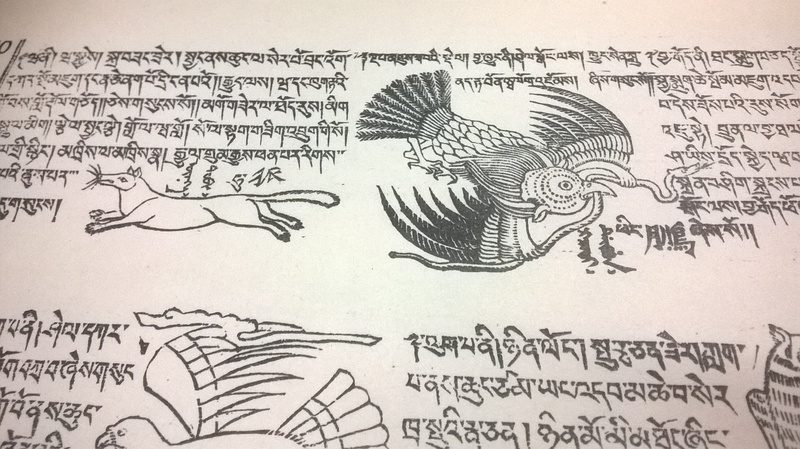 Following the English books were the Sanskrit and Tibetan Petcha books. Since this part of the collection was considered to be a priority, the department decided to dedicate three months of cataloging to it. The entire staff work tirelessly on the Petcha until it was completed. With the priority materials cataloged, the remaining items remained in RS2. Some books were small… and others were huge! Due to the delicate condition and complex languages of the materials, the collection required a great deal of time and hard work. With all the other priority projects handled by Cataloging and Description, the Asian Religions Collection remained in Remote Storage 2, waiting to be assessed and cataloged. Once the department hired Complex Cataloging Specialist Dominique Bortmas, Cataloging Associate Elizabeth Richey, and ARC Cataloger Stephanie Truex, Cataloging and Description was finally prepared to focus on this massive collection. Once an inventory was taken, the books were transported from RS2 to their new temporary home at 711 Madison Street where they waited to be cataloged. The staff organized the books by language and began to devise a plan to make the collection available to the public as soon as possible. As with any material, the cataloging process is very precise and detail oriented; this is particularly true for the complex materials in the Asian Religions Collection. Catalogers must personally analyze each item, then find or create a machine readable record. A call number, notes, and Library of Congress subject headings are just a few of the fields needing to be included in the records. This allows the material to appear in the library catalog where it can be discovered. In addition to these usual obstacles of cataloging, the staff also faced additional challenges. For Amy Weiss, Head of Cataloging and Description, the main obstacle was finding the time and resources to catalog the 25,000 items in the collection. Yearly, the department catalogs about 15,000 items. Finding the time to balance the usual cataloging with an additional collection of 25,000 was not easy. However, thanks to a dedicated staff equipped with catalog cards and a workflow guide, the department was able to finally tackle the collection. Refusing to sacrifice speed for quality, the department decided to dedicate 25% of each staff member’s time to cataloging the ARC books. Catalogers Stephanie Truex and Elizabeth Richey devoted most of their time to completing the collection, while the rest of the staff also significantly contributed. Once the staff began cataloging the the collection, they discovered that the language barrier often made it difficult to locate and create catalog records. While many of the books had old Library of Congress catalog cards in them that made it easier to search for records, not all of the books included this extra bit of helpful information. Catalogers had to rely on their research skills and newly acquired transliteration skills just to locate a record. Even if a record was located, it had to be upgraded. The records were outdated, and needed to be edited in order to meet current cataloging standards. The collection is now completed, with the exception of the Chinese, Japanese, and Korean (CJK) languages materials. Nearly 200 items remain since they present additional language and translation issues. 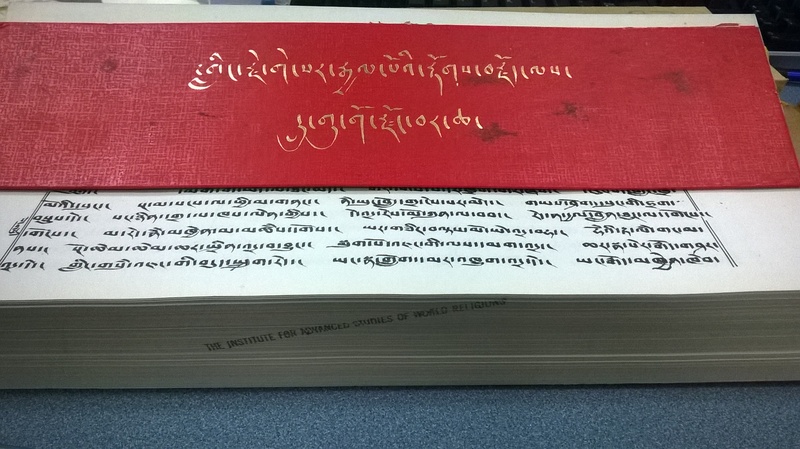 CJK librarian, Yue Li, is currently focusing on this fraction of the collection. The ARC project is a reflection of the hard work and dedication of the behind the scenes Cataloging department. Through their team work and efficient procedures, the collection, with the exception of the CJK materials, is now available to be checked-out by FSU students and faculty.